First of all, WPOPAL would like to send ‘Thanks‘ to all beloved customers who always trust and accompany with us in 2018. Happy Lunar New Year 2019! We wish you health, happiness & prosperity in the whole year 2019. 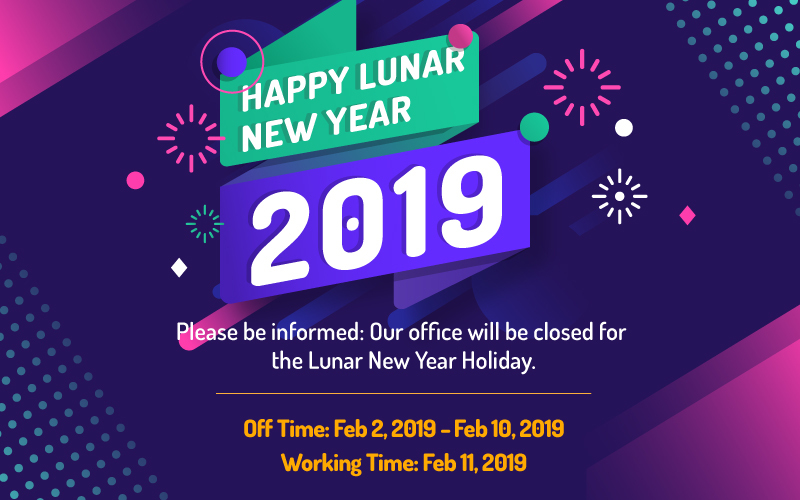 To celebrate our Lunar New Year 2019 – one of the most important & meaningful festivals in our country, we’d like to inform that our office will close from 2nd February to 10th February 2019 (GMT+7) and come back on 11st February 2019. However, please understand that your ticket or email can be responsed with some delay because of the holiday. We’re so sorry about this inconvenience. We will try our best to reply you as soon as possible. Again, Happy Lunar New Year 2019 and looking forward to see you soon!